Motorists in Florida, advised by a local DUI lawyer, are rolling down their windows at DUI checkpoints, refusing to talk officers, and holding of their license, insurance papers and other documentation at the car window so that officers can check them out. They’re holding up a flyer that informs the police officer, that they do not intend to speak and that they want a lawyer before answering any questions. Videos of motorists, who are being allowed through DUI checkpoints after using these measures, are being uploaded on YouTube. In Colorado, sobriety checkpoints are considered legal, and are random and temporary. At these checkpoints, drivers will be pulled over by officers, and detained for a few minutes. Officers may also ask you questions at the scene. If officers find reason to believe that a motorist is under the influence of alcohol, they may submit the driver to a field sobriety test. The point of the DUI checkpoint is to pull over inebriated drivers. Basically, the officer will be looking for signs like slurred speech, red eyes, slow movements, and the smell of alcohol. If a police officer notices any of these signs, he will ask the person to get out of the vehicle, and will administer a field sobriety test. 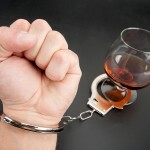 If you fail a field sobriety test, call a Leadville DUI defense lawyer. There are some rules that every checkpoint is subjected to. Officers at a checkpoint must have criteria that they will use for pulling over cars. For instance, police officers may choose to detain every fourth car, and so on. All cars must be treated equally at a checkpoint. If you have been pulled over at a DUI checkpoint, don’t admit that you were drinking alcohol. 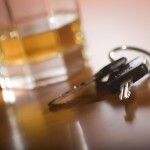 Simply ask to speak to a Leadville DUI defense lawyer.